Though George Miller completed medical school and a post-grad hospital residency, his career as a film director is founded on a Hippocratic Oath-breaking aptitude for bone-crunching mayhem. In his Mad Max series—three films produced between 1979 and 1985, and a fourth, Fury Road, in 2015—a post-apocalyptic Australia is traversed by loner hero Max, who reluctantly saves the remnants of civilization from the fetishistically attired gangs that roam the wastelands. With the impeccably orchestrated orgies of vehicular mayhem that form the bulk of these films, Miller established himself as one of action cinema’s rare modern visionaries. But in the latter part of his career, he turned to more family-friendly entertainment, shepherding the Academy Award-winning 1995 film Babe to the screen, and helming its 1998 sequel, Babe: Pig In The City. Two animated children’s adventures about singing and dancing penguins, Happy Feet and Happy Feet Two, followed in 2006 and 2011. A scan through Miller’s filmography reveals a pair of stand-alone features neatly bisecting the two main stages of his career. At first glance, the 1987 John Updike adaptation The Witches Of Eastwick and the 1992 film Lorenzo’s Oil seem like outliers. They are the only two of Miller’s features not to be sequelized or developed into franchises. Neither makes many concessions toward the fantastic spectacles that otherwise mark his work. 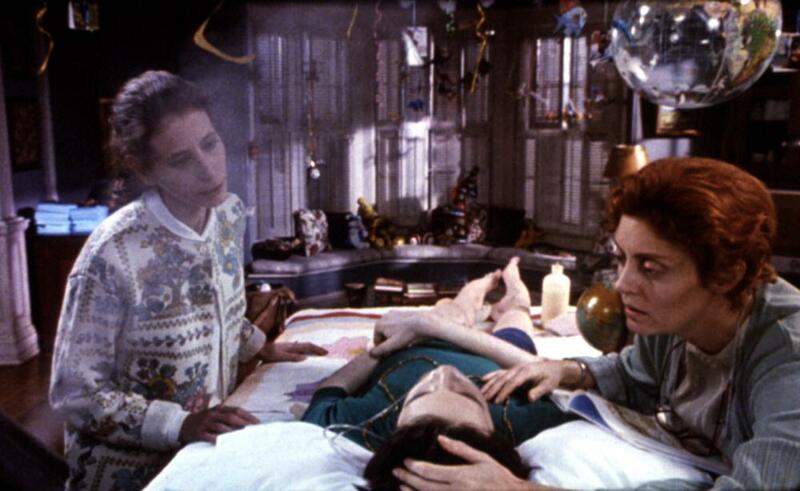 Eastwick is a supernatural confection in which a trio of lonely, magically inclined women (played by Cher, Susan Sarandon, and Michelle Pfeiffer) conjure the man of their dreams, only to find he’s more trouble than he’s worth. The film is a sly, frothy battle of the sexes. Sinister, possibly demonic Daryl Van Horne (Jack Nicholson) flirts with the women like a spokesman for masculine enlightenment—“Men are such cocksuckers,” he purrs to Cher—before relentlessly negging them under his thumb and into bed. Oil, based on a true story, is a taut medical drama about how Augusto and Michaela Odone (Nick Nolte and Susan Sarandon) researched treatments for their vegetative son Lorenzo, who was afflicted with adrenoleukodystrophy (ALD), a complex, fatal genetic condition. Filming in a rich chiaroscuro, Miller imbued the dry pursuit of medical insight with all the passion of a religious quest. Although they don’t scan as prototypical Miller films, a close look at Eastwick and Oil helps clarify the dimensions of Miller’s career. For him, cinema is a form of primal communion, and his films enact this ritual by drawing on the tropes of ancient legends. Miller took up his mythmaking project with the zeal of the born-again. 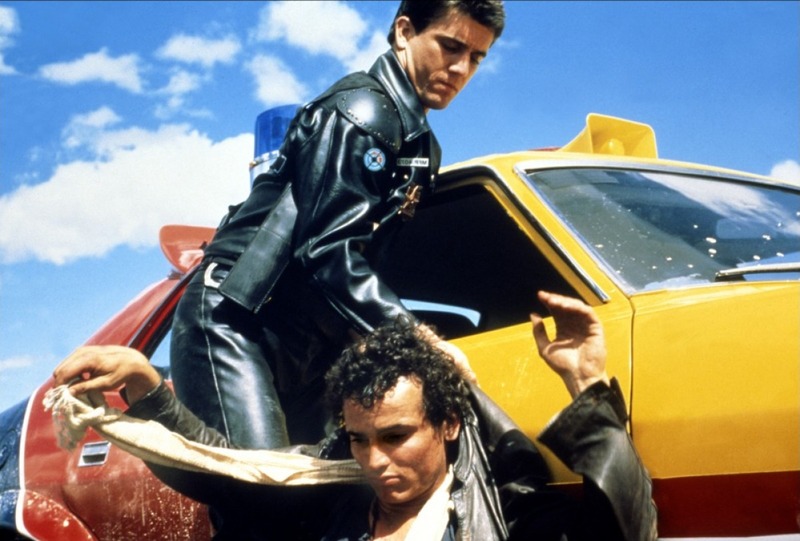 The second Mad Max was developed, according to The New York Times, while Miller was immersing himself in the works of Carl Jung, developer of one theory of the collective unconscious, and mythologist Joseph Campbell, who distilled the “Hero’s Journey” story archetype. The Road Warrior, released in 1981, strips back the low-fi setting of the first Max even further to unearth the mythical resonances beneath. The decrepit urban spaces of the first are gone, replaced by a yawning desert. Max, a cop and family man in the first entry, is reduced to the archetypal essentials: Riding out of nowhere on a single-minded quest for petrol, he eventually helps the citizens of a remote oil refinery escape a barbarian army and head for the coast, and so helps sow the seeds of civilization. 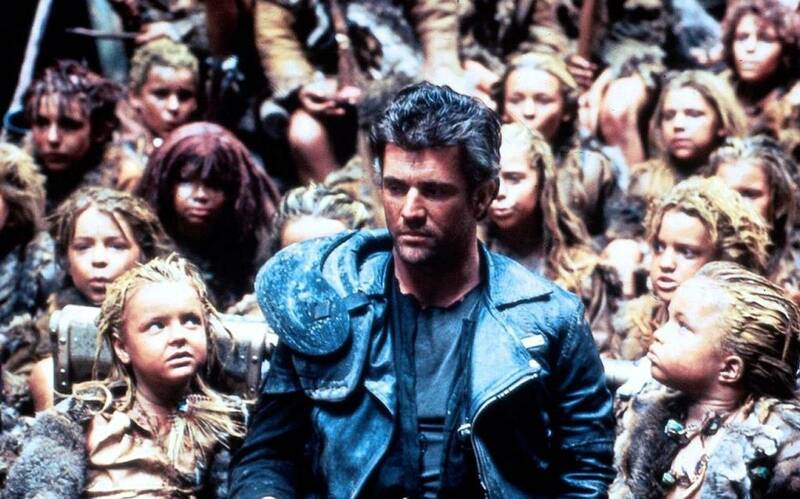 These mythical elements rear even further out of the subtext in the 1985 film Mad Max: Beyond Thunderdome, in which Max is cast as the prophesied savior to a cargo-cult of children lost in the desert after a plane crash. The kids mistake him as their legendary hero “Captain Walker,” who is fated to return and lead them back to civilization. Once again, Max reluctantly facilitates an exodus to the coast, where the kids establish a society in the ruins of Sydney. After Thunderdome came Eastwick and Oil, and then the two children’s franchises that occupy the latter part of Miller’s career. In the abstract, Happy Feet and Babe have essentially the same story. Both are about young heroes gifted with unusual talents—a pig who wants to herd sheep, a penguin who wants to dance—who fight to overcome prejudice and usher in a new social order. In spite of a mountain of cosmetic differences, this is fundamentally the same story found in The Witches Of Eastwick and Lorenzo’s Oil. In Oil, the Odones battle the entrenched medical establishment—whose research into ALD advances at the coldly indifferent pace of formal science—as well as the numb quiescence of ALD family support groups. Lorenzo’s vegetative state makes his neurological health a total mystery, and one after another, the Odones dismiss all the friends, family, nurses, and carers who don’t share their faith in their son’s recovery. Eventually, even Augusto begins to waver—a Campbellian “refusal of the call” that causes him to doubt his and his wife’s quest. But a sudden biological insight (a revelation Miller stages in a dream) inspires him to develop the titular substance—a preparation of rapeseed and olive oils that the Odones predict will arrest their son’s decline. When the oil appears onscreen, Miller shoots it like some magical potion; the glass beakers that carry it take on the aura of holy grails. The treatment improves Lorenzo’s condition, the Odones’ victory is heralded by other ALD parents, their friends return to them, and in a fairy-tale gesture, their son wakes up. Oil kicks off with a moment that could be lifted straight from Beyond Thunderdome, where the cargo-cult kids sit in rapt audience while their elders relate the “tell” of Captain Walker and the Tomorrow-morrow Land. The film begins in the Comoros Islands, where the Odones are living while Augusto is working for the World Bank. In a dim room, a group of children watch intently as an elder boy, Omouri (Maduka Steady), sits before them carving a wooden dagger. Lorenzo, not yet ill, runs happily in daylight outside, then stops in the open door beside Omouri. He innocently asks what’s happening, and in response is solemnly passed the dagger. With this brief gesture, Miller alerts viewers that Lorenzo is bearing a totemic burden. Years later, Augusto’s rediscovery of the dagger high in a cupboard prefigures the turn from the darkest period of Lorenzo’s suffering to the early stages of improvement, as does Omouri’s arrival in America, where he agrees to be Lorenzo’s caregiver. The free use of religious referents and iconography is consistent with Miller’s conviction that audiences commune with cinema on the level of the collective unconscious, receiving film into a kind of primordial soup of legends, free from cultural or ethnographic divisions. Although Catholic images predominate in the film, it isn’t committed to any one creed; it’s pan-spiritualist. Likewise in Eastwick, although the film juggles concepts of witchcraft, Christianity, and the devil, Miller keeps things vague. Van Horne’s nature is never explained. Toward the end, he takes on aspects of a werewolf, a giant, and a worm, although he does cheekily pronounce himself a “horny little devil.” The three women, Alexandra, Jane, and Sukie, are more an accidental coven than a trio of witches. Their powers are depicted more as a “law of attraction”-style aptitude than actual magic. They don’t finally cast a spell until the climax of the movie. Having been seduced by Van Horne into an unconventional foursome, the trio draws the distaste of the local townspeople, especially the fire-and-brimstone-preaching gossip Felicia (Veronica Cartwright). When Felicia dies under suspicious circumstances, the women dissolve the relationship, and ignite Van Horne’s wrath. After he metes out a magical series of curses for scorning him, the three band together and exorcise him from their lives, with a little spot of voodoo-doll magic. The close of the film finds social equilibrium restored. With Van Horne’s malignant presence gone, the three women now reside peacefully in his mansion in matriarchal harmony, each having been gifted with a new son. But Miller’s confidence in his ability to play fast and loose with mythic material again is consistent with his belief that film audiences are intuitively receptive. Most of the film’s magical business is articulated through a program of crosscutting. In one scene, Van Horne encourages the three women to gorge themselves on cherries, while across town, Felicia, whose rumor-mongering is spoiling their fun, helplessly vomits up the pits, eventually causing her disgusted husband to brain her with a poker. Later, the three women work on their voodoo doll in Van Horne’s kitchen, while across town, his body is flung around accordingly. There’s no need for Miller to spell out the magic at work; he weaves these moments together in editing, and the audience simply accepts the connection. This was the same strategy Miller used in 1979, when he was composing Mad Max as “visual rock and roll,” cross-cutting his “little bits of celluloid” into a pounding highway pursuit. Similarly, much of the Babe and Happy Feet films are rooted in music and dance. These different facets of Miller’s method are drawn from the same well; a conception of cinema as the modern meeting place of myth and music, rhythm and story—a primal communion that ushers its audience back into an instinctive state beneath the conscious mind. His narratives express in content and theme a mythopoeic power that is similarly present in his technique. His films harken back to the primitive legends told by our ancestors around some ancient campfire, and to the prosody of the orators who told them. No matter how diverse the terrain, in George Miller’s films, all roads return to the same source.